INDIANAPOLIS, IND. 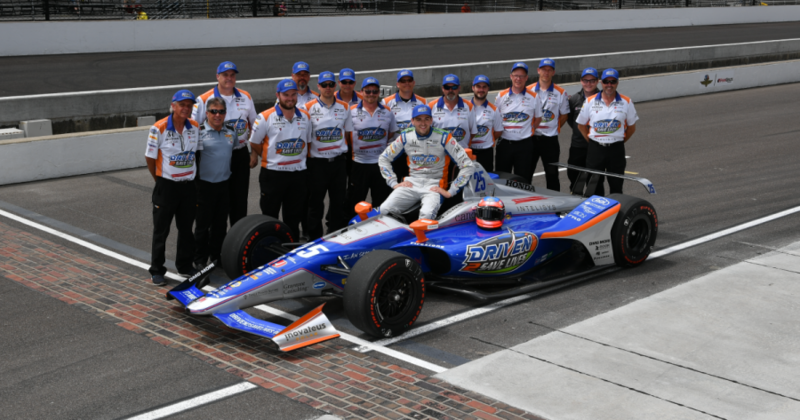 (May 20, 2018) – In his return to the Indianapolis Motor Speedway, Stefan Wilson starred during qualifying for the 102nd Running of the Indianapolis 500. During yesterday’s Bump Day, the driver of the No. 25 Driven2SaveLives Intelisys Honda qualified 22nd out of 35 cars. Today, he secured a spot in the middle of row eight for the race which will take the green flag a week from today. With four days of practice virtually unaffected by weather, Bump Day was a stark contrast with over three and a half hours of weather delays. This meant the majority of the field, Wilson included, would only make one attempt at securing their spot in the race. The Briton did so without any drama, sitting 22nd overall after the first day of qualifying. With weather not affecting any of today’s proceedings, Wilson was not as pleased with his performance given the speed shown yesterday. Tomorrow sees a three-and-a-half-hour practice session followed by three full days of media advances and events as Wilson travels to his resident city of Denver, Colorado. Friday May 25th sees the Indianapolis 500 competitors take to the track again for Carb Day and one final opportunity and fine-tuning their racecars. Saturday, May 26th is Legends Day at the Indianapolis Motor Speedway, with an all-driver autograph session, public drivers meeting, followed by the Indianapolis 500 Parade in downtown Indianapolis. On Sunday May 27th, the 102nd Running of the Greatest Spectacle in Racing kicks off with coverage on ABC starting at 11am ET.